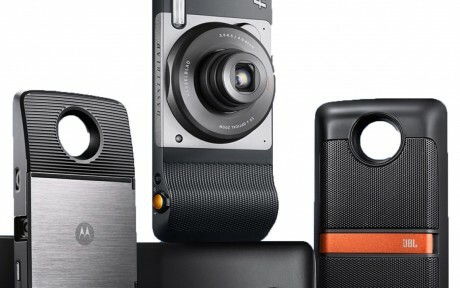 Motorola today said it has partnered with crowd-funding service Indiegogo in order to improve the selection of Moto Mods for its Z-series smartphones. Motorola is encouraging creators to share their Moto Mods ideas through its Moto Mods Developer contest. Motorola will reward select entrants with the Moto Mods Developer Kit, which includes a Moto Z phone. With the kit in hand, developers can then bring their prototypes to fruition with a small amount of help from Motorola. Mods that reach the working prototype stage can then apply to Indiegogo for initial funding. Motorola said it and partner Verizon Wireless will assist developers that make it this far by promoting the Indiegogo campaigns. Ten finalists will then have a chance to pitch their idea to Motorola and Verizon directly in Chicago. Winners will move on to production, shipping, and marketing, all of which will be aided in part by Motorola and Verizon. The Moto Z Play Droid, Moto Z, and Moto Z Force Droid are all compatible with Moto Mods, which are magnetic snap-on accessories. So far, some of the available Mods include a speaker from JBL, a camera from Hasselblad, and several battery packs.